Do You Know The Weather Man? 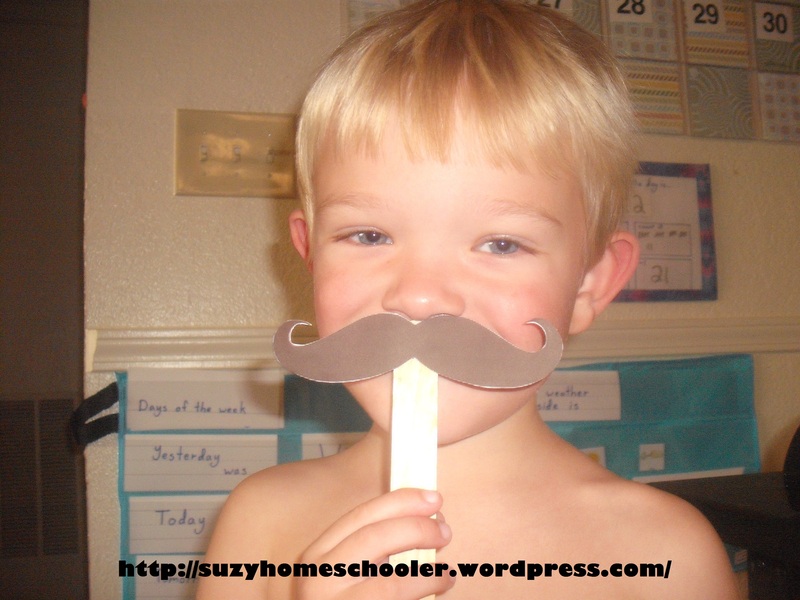 You are here: Suzy Homeschooler » Free Printables, Science, Tot School » Do You Know The Weather Man? The other day when I gave our little homeschool classroom tour, I mentioned our fun weather man routine that we do each day before up-dating our weather chart. I wish I could take credit for this but actually we learned the song about 2 years ago when I first started taking LittleMan to the library for weekly story time. Our wonderful librarian, Ms Leann, would sing this song as well as do a little color search and counting activity each day before the reading started, and each day ended with a craft. If you don’t take your child to the local library for story time, you should check it out. Some libraries really are a wonderful resource for families with young children. We sing a little ditty to the tune of, “Do You Know the Muffin Man” then I put on a fake mustache and pretend to be the weather man. Sometimes LittleMan likes to switch roles so he can play the weather man. To make our weather chart we started with a $3 border organizer from Target which we mounted on the wall. The left side is for the days of the week, the right side is for the weather. 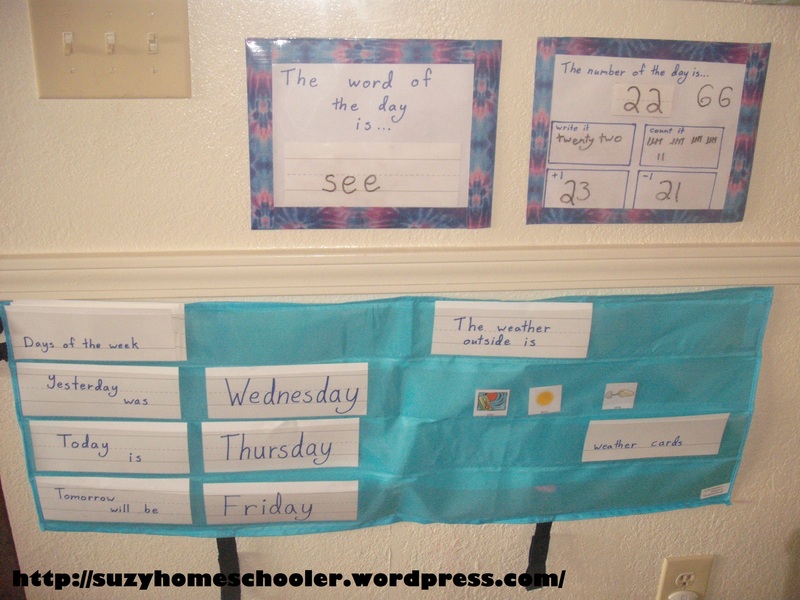 I simply wrote on a word strip, “The weather outside is…” We store our weather cards behind a second word strip labelled “weather cards.” We made our weather cards by printing out page one of the free weather cards from Montessori Print Shop. After we sing our song, LittleMan goes through the cards and displays the appropriate cards for the weather that day.